–> Man or woman – everyone loves the look of a full luscious head of hair. Don’t settle for less than luxurious locks due to hair loss, damage or breakage! 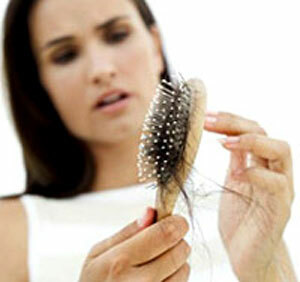 Regain a fabulous head of hair at The SHAW Center Hair Loss Clinic. The SHAW Center offers several options for stopping hair loss and re-growing hair. Men and women with male/female pattern hair loss, thinning hair, broken and damaged hair or alopecia areata/traction alopecia and others can greatly benefit from the SHAW Center’s hair loss treatment programs. One of the options clients can consider is low-level laser therapy, which is administered to the scalp to improve the health of your current hair as well as stimulate new hair growth without breaking the skin. The treatment stimulates the blood supply in the scalp with a wavelength of light, resulting in enhanced cell activity and allowing for more nutrients to reach the hair follicles thus improving hair growth. For those who prefer an in-home DIY treatment for hair restoration, The SHAW Center offers home laser hair therapy devices, like the “laser comb” or the 90-laser diode portable dome. Both of these treatment options administer phototherapy to the scalp, enhancing the results of in-office laser treatments. The SHAW Center proudly offers an innovative line of hair loss treatment products designed to improve all types of hair loss conditions, like the ones mentioned above. The line is the only no-prescription drug/medication treatment that is FDA-approved for hair growth. The line of products has shown effectively re-growing hair of more than 19 new terminal hairs her square centimeter as well as stopping the progression of hair loss in 85 percent of patients. If you’ve noticed hair loss or damage, don’t wait until it’s too late! Visit one of the experts at the SHAW Center Hair Loss Clinic to discuss the best options for you. Imagine yourself with a luscious full head of hair again!